Welcome to the Risk-Based Systems Analytics Laboratory within the School of Industrial and Systems Engineering at the University of Oklahoma. The lab focuses on the development of theory, methodology, and application towards risk-based decision making in engineering systems. Primary areas of interests lie in modeling the risk, resilience, and interdependent economic impacts of disruptions to critical infrastructure networks and the overarching community. Dr. Nazanin Morshedlou has accepted a tenure-track faculty position in the Department of Industrial and Systems Engineering at Mississippi State University! Dr. Yasser Almoghathawi is an Assistant Professor on the Systems Engineering faculty of King Fahd University of Petroleum and Minerals! Lab PhD graduate Hiba Baroud, an Assistant Professor and Littlejohn Faculty Fellow in Civil and Environmental Engineering at Vanderbilt University, was awarded a Chancellor's Public Voices fellowship to provide resources to speak globally about her research on measuring impact and building resilience in infrastructures and communities. The journal article resulting from Molly Stam Floyd's MS thesis, broadly dealing with risk and uncertainty in project completion, was given the Eschenbach Award by the American Society for Engineering Management for the best paper in the Engineering Management Journal in 2018. Other co-authors include Claudio Rocco and Mackenzie Whitman. 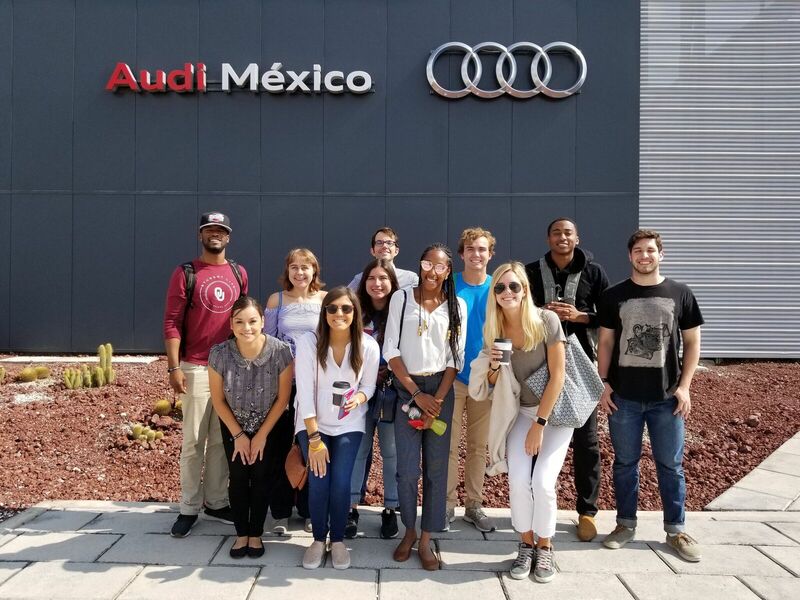 During the May 2018 intersession, Kash co-taught (with Crystal Garcia, Director of Diversity and Inclusion in the Gallogly College of Engineering) a study abroad course in engineering professional development at OU's program in Puebla, Mexico. An incredible experience with some incredible students! Two new Ph.D.s in the School of ISE this spring! Drs. Yasser Almoghathawi and Nazanin Morshedlou successfully defended their dissertations in Spring 2018. Tremendous scholars! Kash co-taught (with Drs. Gonzalez and Mohebbi) an OU Presidential Dream Course on the Analytics of Resilient Cyber-Physical-Social Systems! Our incredible guests included Enrico Zio, James Lambert, Femi Omitaomu, Ozlem Ergun, Alexander Gates, Laura Albert, Hiba Baroud, Cornelia Caragea, and Christopher Zobel. Ph.D. student Nazanin Morshedlou was given the 2017 Pursuit of Excellence Award for graduate students by the Gallogly College of Engineering. An outstanding award for an outstanding student! Kash is a program chair, along with Chase Rainwater of the University of Arkansas and Diana Berry of Harsco Rail, for the 2018 Annual Conference and Expo of the Institute of Industrial and Systems Engineers. Submit an abstract before November 9, and see you in Orlando, FL in May 2018! Kash is co-editing, with Jose Ramirez-Marquez of Stevens Institute of Technology and Giovanni Sansavini of ETH-Zurich, a special issue of Risk Analysis on "Resilience Analytics for Cyber-Physical-Social Networks." Check out more here! Ph.D. student Mohamad Darayi is a new Assistant Professor of Systems Engineering in the School of Professional Studies at the Great Valley campus of Penn State University. An incredible opportunity for an incredible scholar! The OU School of ISE has hired two tremendous scholars in the area of cyber-physical-social systems! Andres Gonzalez and Shima Mohebbi will be joining the School in the Fall of 2017! Lab graduate Hiba Baroud was awarded the inaugural Littlejohn Dean Faculty Fellowship given to engineering junior faculty at Vanderbilt. Congrats to Dr. Baroud! Kash is trying to use Twitter. Follow him @kashbarker! Kash is leading a multi-university team of systems engineers, computer scientists, and social scientists to propose an area called “resilience analytics,” the data-driven study of interdependent physical, service, and community networks before, during, and after a disruption. We propose to primarily make use of community data (e.g., Twitter) to understand cyber-physical-social networks and their interdependent resilience. Team members include Andrea Tapia from Penn State University, James Lambert from the University of Virginia, Chris Zobel from Virginia Tech, Jose Ramirez-Marquez from Stevens Institute of Technology, Laura McLay from the University of Wisconsin, Charles Nicholson from OU, and Cornelia Caragea from the University of North Texas. Check out our project website, www.resilienceanalytics.com. If you are interested in pursuing an undregraduate or graduate degree in the OU School of Industrial and Systems Engineering, or if you're interested in my research in particular, let me know!